Formerly known as the CS310, the W-310 is a flexible torch designed for demanding applications and high amperage output without increasing torch size. The W-310's innovative handle design offers a self-indexing flat top that allows the operator to orient the torch by feel, improving overall torch control. Quickly identify input water (blue hose), return water/power cable (red hose) and gas (black hose) with the ColorSmart color-coded hose sets for more efficient torch package installation. 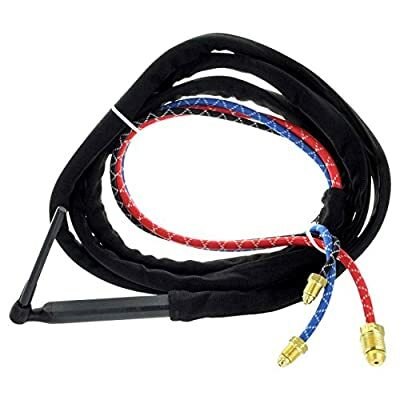 The reinforced rubber cable assembly offers greater flexibility, especially in cold weather. 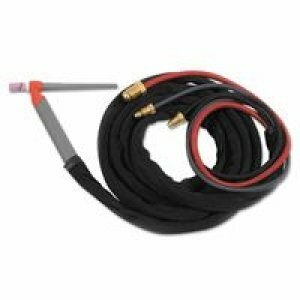 The Weldcraft W-310 TIG torch package comes complete with high-performance TIG torch, super flexible power water and gas hoses, premium cable cover and 3/32" (2.4mm) front end parts installed.